Research suggests that these practices contribute to an effective and efficient learning experience for both faculty and students. 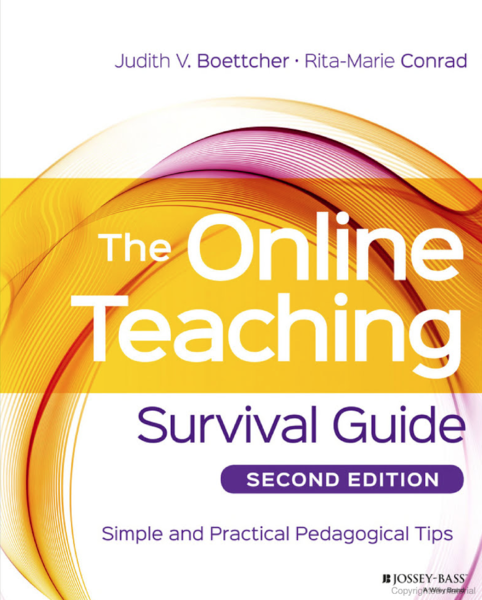 120 tips for teaching and learning by Judith V. Boettcher, Ph.D. and Rita-Marie Conrad, Ph.D.
A valuable resource for developing blended or online teaching programs. Written by Judith V. Boettcher, Ph.D. and Rita-Marie Conrad, Ph.D. Published by Jossey-Bass, this book organizes and updates many of the e-coaching tips from this website, providing a valuable resource for any faculty grappling with developing and delivering any blended or online program. Many faculty support centers and programs are using this book as part of their faculty development programs. How Much? How Many? What's Next? This website provides valuable resources for designing and teaching practices online. This site is also a reference site for articles spanning the last 20 years or so from Judith Boettcher's work in online and distance learning, faculty development and the future of teaching and learning. Judith has spoken at many seminars and presentations on teaching and learning over the past 30 years. Included are examples of her keynote topics and discussions. Judith has advised and consulted on multiple topics regarding teaching and learning information. Examples of planning and faculty development can be found here. 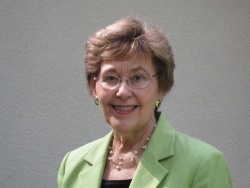 Judith Boettcher’s publications are known for their strategic and practical values See what other writings Judith has written in her extensive career. Research and experience suggest that these practices contribute to an effective, efficient and satisfying teaching and learning experience for both faculty and students. Using these practices can help develop confidence, comfort, and experience in teaching online. Click the link below to discover them. To contact or view a complete biography of Dr. Judith Boettcher, click the image below. This library of tips addresses the many issues, challenges and fun in designing and teaching a course in blended or online environments. Novice and experienced faculty alike will find practical and theory-based hints and ideas.